BEST ANSWER: This device will not work with any network switch. It is usb only. Think of it as a regular usb cable with cat5e in the middle. I'm sorry I'm not familiar with the term poE. I use mine on either end of a 25 ft cat5 cable to hardwire my weather station downstairs to my pc upstairs so it will always be on line. HAHAHAHAHA! That's an awesome concept! I'm hoping to use this to extend the range of an Xbox One Controller through a shielded CAT6 cable. Is this possible? BEST ANSWER: I'm using them to extend keyboard and mouse over CAT5e and that works fine but it is only 35 feet. I would think it should work if you are not more than 50 to 75 feet but some items are finicky. If your controller can communicate over usb 2.0, from my research this will work. At the controller end you just plug in your Xbox one cable which is usb to micro usb. WIll this carry a 1080P webcam signal? Logitech 930e webcam. 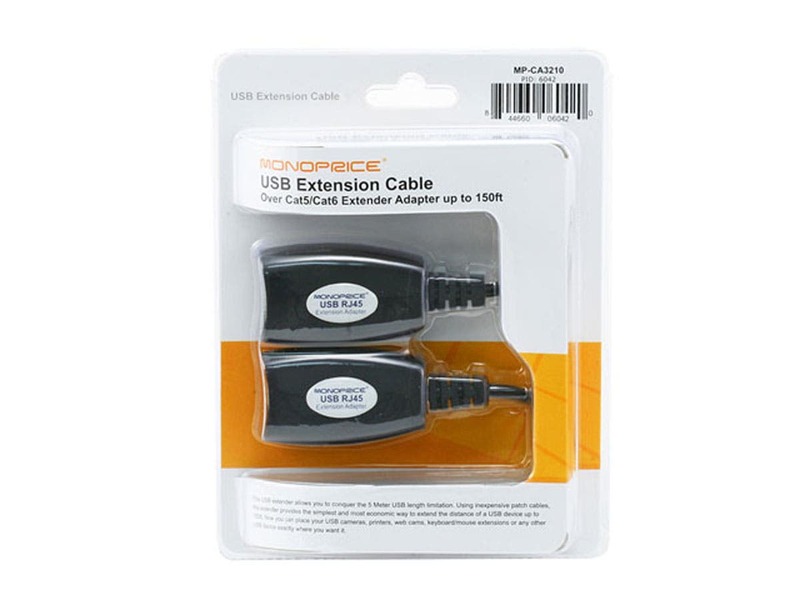 Having trouble with another brands USB over Cat5 extension and wonder if it's the general technology problem or brand. BEST ANSWER: I tested with the Logitech C930e and it didn't work. I believe the extender is only rated for USB1 and that is too slow for a 1080p webcam signal. READ CAREFULLY! Only works with USB v1. Reliably. Looking for a different option. Unfortunately is not working for the purpose I intended to use it. I wanted to be able to plug my pri ter to the cat 5 set up. I only used it for about 50' runs, but it worked just fine. On my 3rd set after burning the first two out. It works for the application but it is not reliable. One of the wall jacks in line with it came loose and it stopped working. 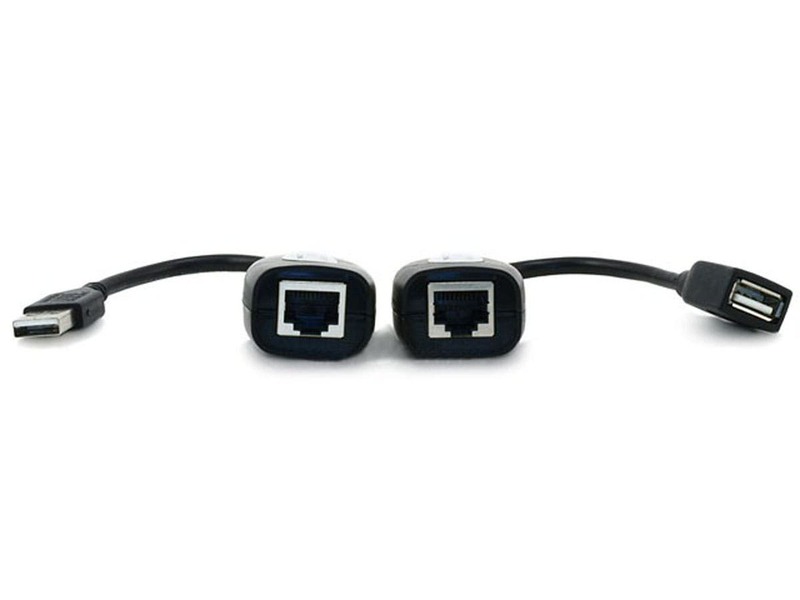 Once the jack was fixed on the Cat5 side, it still did not with. The open circuit burnt out the receiver portion I think. I'm on my third set. Tried to use these to extend Xbox 360 Kinect sensor over cat5e but they don't support USB 2.0. otherwise they work fine. Worked exactly as advertized and a great price. Used this product along with an HDMI over ethernet product to view and control a security camera dvr. I have been using these usb extenders for my security camera install going on about two years now. They have been very useful and know I can rely that they are of great quality and will work. I have used at least 200 of these guys. Very little problems. It is only USB 1.1, but works fine with Smartboards and Epson interactive projectors.